Box Office: 'Avengers: Age Of Ultron' Falls Short Of Predecessor, Snags Second Highest Opening Of All Time! As we all knew Avengers: Age of Ultron took the top spot at the box office this weekend the only real question on everyone's minds was how big this movie was going to be would it top its predecessor the first avengers, would it not? After months of speculating we now have our answer and it is it did not top the original Avengers which opened to an insane $207 million back in 2012. 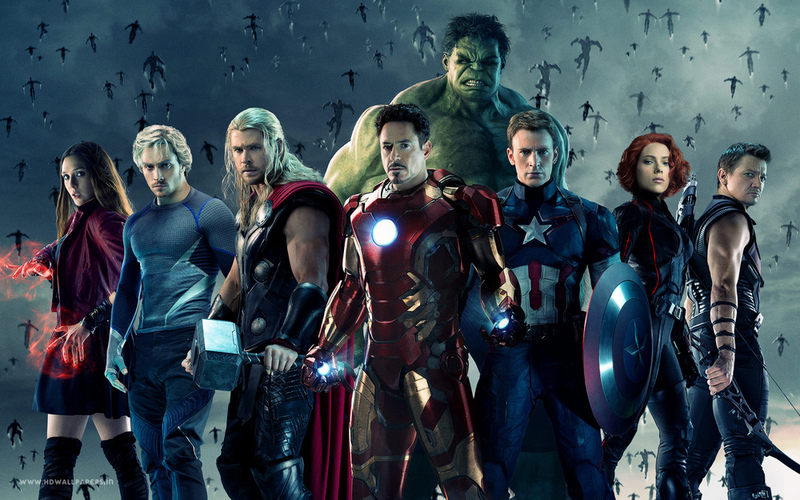 Avengers: Age of Ultron took the number one spot this weekend with an estimated $187.7 million at the box office! The film came a mere $19 million and change away from matching its predecessor, which is okay there is no reason to feel bad for the "poor" Avengers sequel. It now ranks as the second biggest three day opening weekend of all time and gives Marvel studios the top three spot with Avengers, Avengers Age of Ultron, and Iron Man 3 in that order. Now many analysist are pointing to Saturday's huge decline for Ultron failing to become the biggest box office opening of all time! Saturday's decline is because of the sports world having what many people called the last great boxing match of all time Manny vs. Paquiao taking many of the same viewers that would have been going to see Avengers: Age of Ultron instead staying home ordering pay-per view. Coming in second place this weekend was Blake Lively's The Age of Adaline bringing another $6.2 million in its second weekend at the box office. Fairly impressive considering the film beat out the monster that is Furious 7 for that second place finish. Furious 7 did however com in third place bringing in another $6.1 million bringing it ridiculous domestic total to $330.52 in just 31 days! Rounding out the top five this weekend is Paul Blart: Mall Cop 2 coming in fourth place with an estimated $5.6 million. The mall cop sequel has now brought in a modest $51.19 million domestically in 17 days which is fairly impressive considering the terrible critical reception for the movie. Finally coming in fifth place is the Dreamworks Animation film Home adding another $3.3 million to its already impressive domestic take of $158.1 million. As always thanks for stopping by and checking out the weekend box office update! Leave your thoughts on this surprising box office weekend in the comments below!